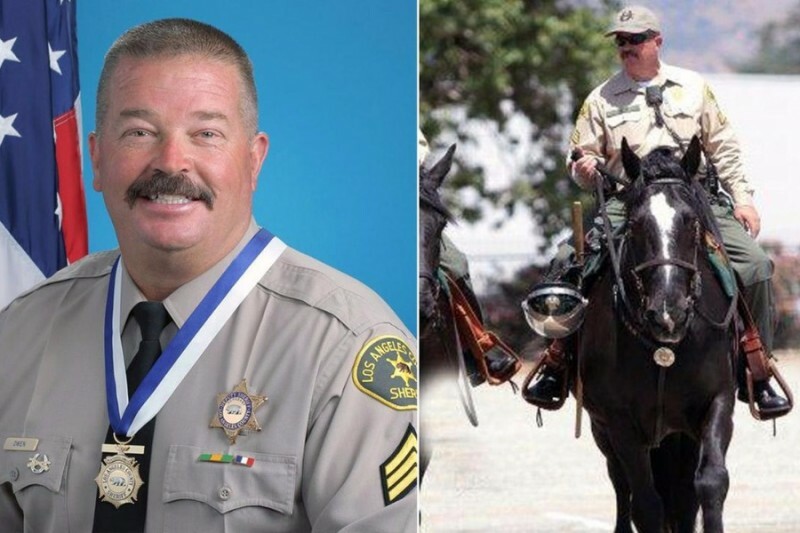 On October 5, 2016, the Los Angeles County Sheriff’s Department suffered a monumental loss. Sergeant Steven Owen, a 29-year department veteran, was responding to a residential burglary call in Lancaster when he was shot in the face by a suspect on active parole. Despite being rushed to the hospital by fellow deputies, Owen succumbed to his wounds. His family made it to the hospital and were at his side when he died. Steve was a legendary law enforcement officer. He received the Medal of Valor and multiple awards and recognition for heroics throughout his career. He also spent time serving the community on his own time, as a mentor to young people and as a football coach. Steve died as he lived — serving his community. That is why we are coming together as a community to support Steve's family. Many of us worked with Steve and even more of us came to know and respect him. All of the funds raised here (minus gofundme fees) will be personally delivered to his wife, Tania via the Star & Shield Foundation (StarandShieldFoundation.org) . It is crucial that we get this support to her as soon as possible to offset expenses the family will be faced with, to offer peace of mind, and to show her that we all honor Steve's legacy at work and in the community he served. Steve represented the best among us. His courage and dedication are well-documented. He defended the public, even to the end. Thank you for joining us today in supporting Steve's family. This request is sponsored by the Los Angeles County Professional Peace Officers Association (PPOA), through its charitable foundation, The Star and Shield Foundation. You can learn more about PPOA by going to www.ppoa.com. Brian Moriguchi is a trusted leader in the Sheriff's Department, and of our union, POPA. Since this campaign was started by him, he donated money himself, and many of the donors are current and retired Deputies and above, I can assure you that this is legitimate. Personally, I thank all of you that donate. Steve was great cop, great man, and a great partner. WE all will miss him! This is the 3rd different campaign for the same thing. Be careful people. Im sure you could donate to the station directly insted. Will these funds go-to pay for Sgt Owen's last expenses? So sorry I don't have money to give bing that we live on a single income. Just want to express my deepest sympathies. I am so deeply saddened by this. He was a good man amd Sargent. Thanks for doing this Brian. Your dedication and hard work are again greatly appreciated by both fellow Deputies and Police Officers. What could be a better donation than giving to someone who for nearly 30 years gave to the community and has sacrificed everything for all of us. I donate because I appreciate all my brothers and sisters who work the streets daily to keep us safe. God Bless all of You! RIP Sgt. We will truly miss you and thank you for everything you did for us keeping us safe. Just doing also your Job. I'm so Sorry to his Wife Daughter and Mother. Thank you Sr.
God bless all that serve and protect us and pay the ultimate sacrifice. Thank you for your dedication and service, Steve. So very sorry. You and yours have had to pay such a price to keep us safe. Hero and horseman, my thoughts and prayers are with your family.